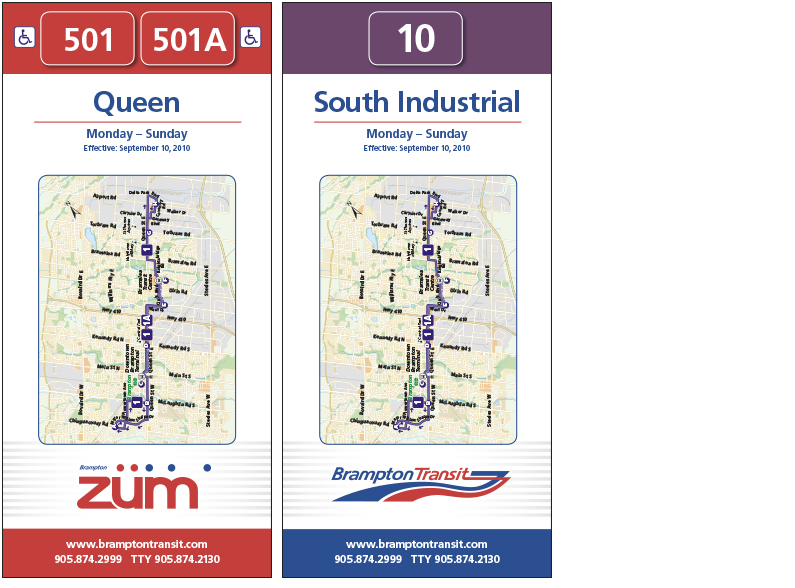 Züm Transit - Segovia Advertising & Design Inc.
Brampton Transit launched a new rapid transit service and needed a complete brand launch. Segovia A&D was responsible for developing the brandmark and visual identity. After the primary brand development was built, Segovia proceeded to extend and execute the brand through all of its touch points: vehicle design, bus stop/shelter design, wayfinding/signage and print collateral. 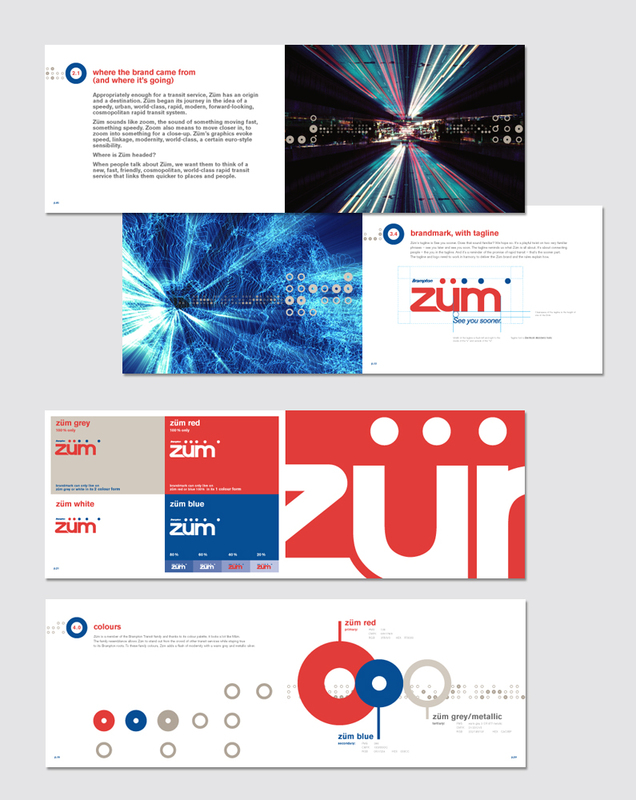 Orchestrating the design direction for all brand touchpoints was a Visual Identity Styleguide also developed by Segovia A & D.
This new brand, Züm is forward-looking and world-class – urban, speedy, modern and cosmopolitan. The syleguide exhibited a mature and experienced discipline with which to expand and roll out this new brand. 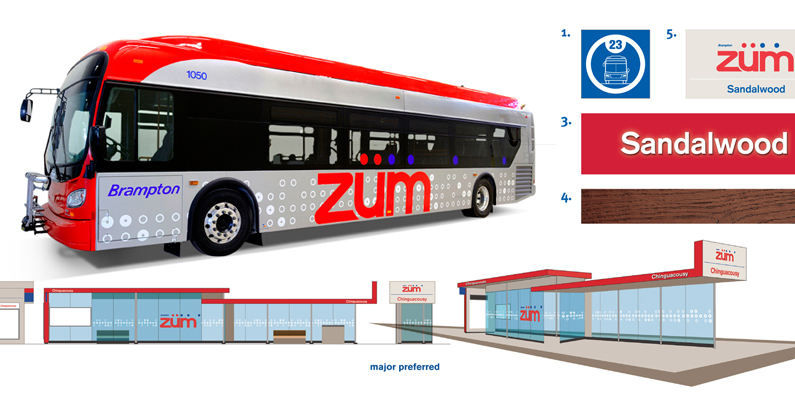 The bus livery, stations are all woven together with linking components of the brandmark and secondary graphic elements – all breathing life and connecting this brand. Segovia was instrumental in executing all of the design hands on, dealing with manufacturer specifications from New Flyer. We executed the complete design of two New Flyer models; a regular and articulated extended model. We interpreted architectural drawings, build artworks to scale and executed the bridge way between brand design and supplier/manufacturing. 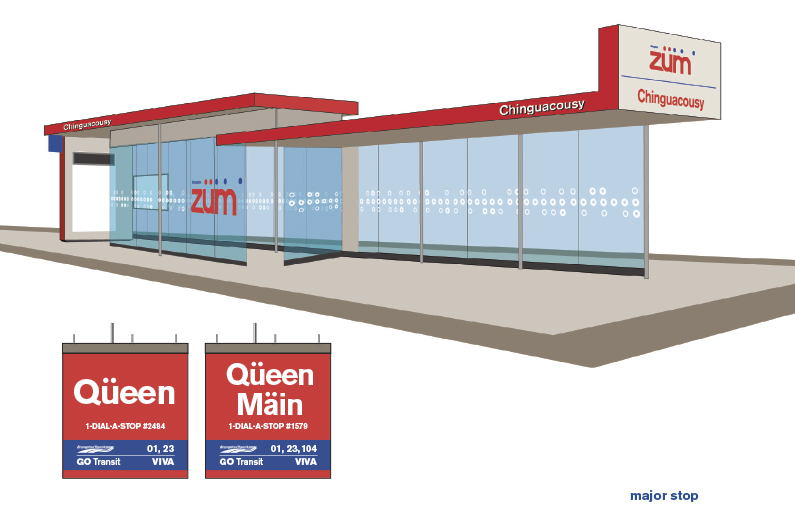 We developed and executed a brand rollout in vehicle, architectural, way finding and print mediums. In order to envision and demonstrate the brand idea, 3 dimensional drawings/renderings were made from scratch to illustrate brand design applied to raw architecturals. 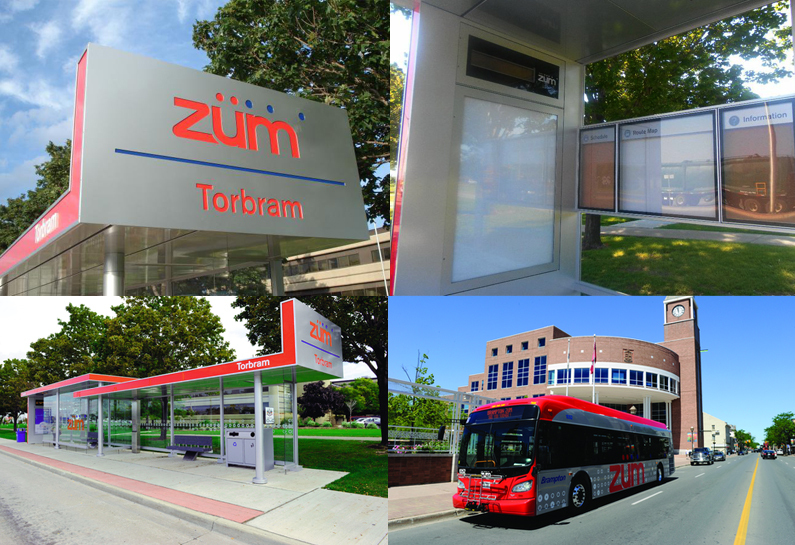 Bus stops were designed collaborating with architectural firms, engineers and manufacturers. A complete Visual Identity/Brand Styleguide was developed in order to lend rules, create opportunities and showcase graphic design and modern thinking. It covered everything from brand tonality and communications, to brandmark guidelines & specifications. It also introduced secondary graphical components, art direction and inspiration for vendor relationships to continue the brand discipline. 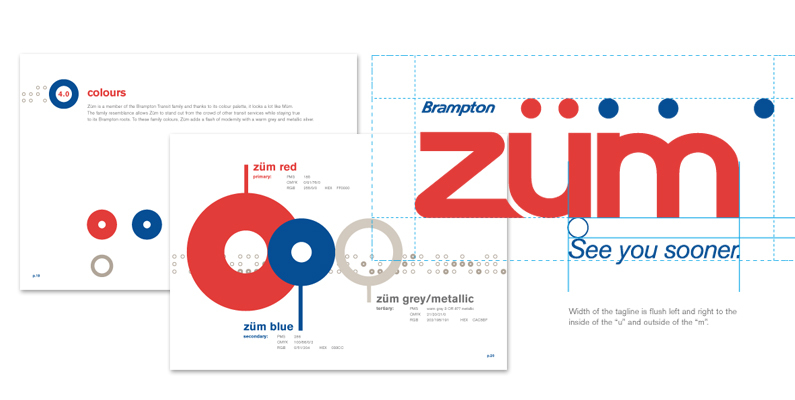 Selected spreads (above) from the Züm Brand Styleguide. 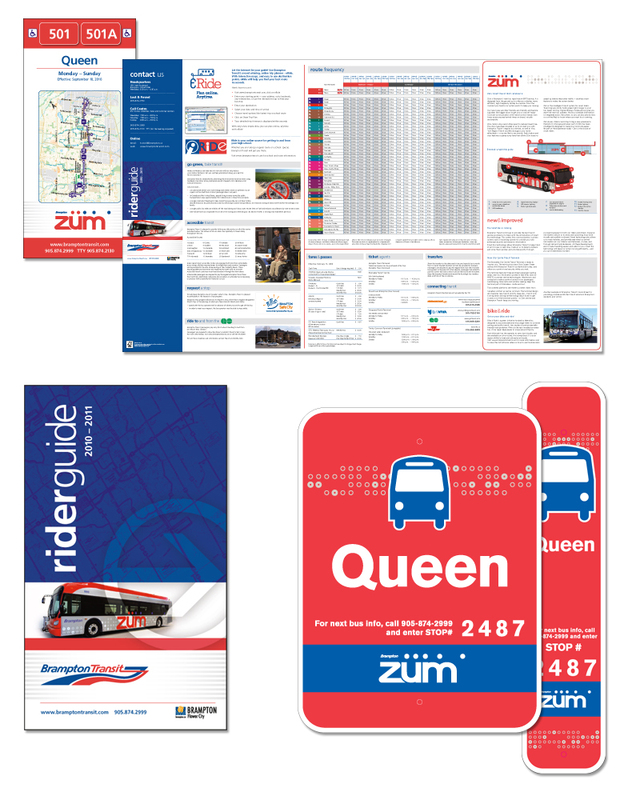 Collateral and signage were natural extensions of the brand: street & stop signs, station way finding, rider guides & maps, schedules and newsletters. This was a project commissioned for the Toronto advertising agency Barrett & Welsh.